In my last post I looked at three of the sitcom revivals that the BBC have produced but alongside these pieces, this new season also includes five new sitcom pilots. Over the next two weeks, all five of these shows will air and in this article I will pass judgement on them all. We begin with The Coopers Vs The Rest; a traditional family sitcom with a twist in that the family unit is made up of parents and their three adopted children. 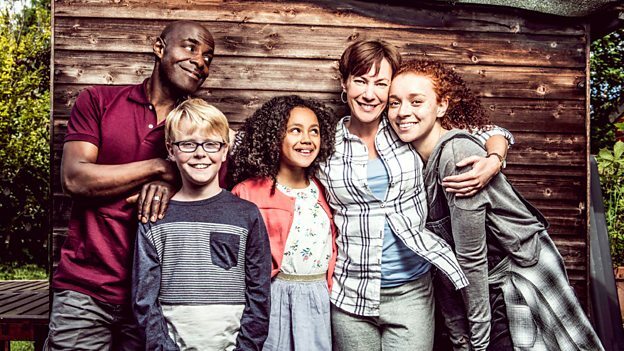 Written by Andy Wolton, who himself is an adoptee, the series is set around the titular Cooper family headed up by the formidable Tess (Tanya Franks) and her ineffective husband Toby (Paterson Joseph). Their three adopted children are stereotypical stroppy teenager Frankie (Erin Kellyman), intelligent 11-year-old Alisha (India Brown) and the introverted Charlie (Joseph West). This pilot episode saw Frankie discover that Toby had been writing to her for the last two years pretending to be her Indonesian pen-pal whilst Alisha decided that the family weren’t as religious as they should have been. Elsewhere Tess felt that Charlie wasn’t fitting in at school and took him to a birthday party for a classmate that he hadn’t been invited to. As with all of these sitcoms I’m willing to give them the benefit of the doubt as all the writers have a lot to cover in just over twenty-five minutes. In the case of The Coopers Vs The Rest I felt Wolton did a good job at establishing the characters and the unusual yet quite sweet family unit. I felt for the most part the dialogue was quite realistic even though I don’t think adopted children took about the fact that they’re adopted as much as the Cooper kids did. The three situations that Wolton built up over the episode felt organic and none of them were too far-fetched, even Tess accidentally abducting another child from the aforementioned birthday party was handled in a believable manner. In my opinion Wolton balanced the more biting comments of the script with the sweeter moments with neither of them feeling out of place. Another reason why The Coopers Vs The Rest worked was due to the central cast all five of whom had a great chemistry and made for a believable family unit. I’ve been a fan of Franks since her Pulling days and I’m glad that she’s finally being given a vehicle in which she’s front and centre. She and Paterson Joseph both make for great sitcom parents with her being the more dominant of the two and he always finding himself being unable to control his daughters. I feel one of the issues with family-led comedies is that it’s hard to find child actors who feel natural reciting the comic dialogue. This isn’t an issue with The Coopers with all three young actors excelling with their comic timing and delivering their lines perfectly. With its gentle touch, fabulous ensemble cast and lack of bad language I can easily see The Coopers Vs The Rest becoming the perfect pre-watershed sitcom that has eluded the BBC for so long. Although this pilot wasn’t perfect by any means I was very impressed by what Wolton and the cast had to offer and look forward to seeing what they’re going to do going forward. One sitcom that doesn’t have as much chance of succeeding is Lake District-set family comedy Home from Home. The first major issue I had with Chris Fewtrell and Simon Crowther’s sitcom is that you have to believe that Johnny Vegas and Joanna Page are a happily married couple. In Home from Home, Vegas and Page play Neil and Fiona Hackett who cast of their dreary home life and take their sons to live in a new lodge they've brought on the Lake District. They soon find they're living next door to what seems to be the perfect couple in the form of Robert and Penny Dillon (Adam James and Emilia Fox). Robert is everything that Neil isn't and of course he keeps trying to compete with him which bizarrely leads to the pair competing to see who does the best impression of Foghorn Leghorn. Inevitably the families gather round for a barbecue where both Penny and Neil get very drunk and the latter ends up puking in his neighbours' luxury hot tub. If seeing Johnny Vegas being sick into a hot tub is the sort of gag that gets you chuckling then Home from Home is the show for you. However I found little merit in the character of Neil who was presented as slovenly, rude and inappropriate without any sort of sympathetic aspects that make me root for him. You do wonder why Fiona has stayed with Neil all these years as it feels like she can do much better and that's possibly why she's spending so much time with Robert. If there's any of these characters who I want to spend more time with then its Robert and Penny as the former is incredibly likeable and the latter is absolutely hilarious. It does help that Penny is played by Emilia Fox who seems to be having a great time playing a former party animal who has had her wings clipped and now dreams of Ibiza while lying in her hot tub. Of course the Lake District gets a lot of love throughout the episode as well as there's several sweeping shots of the countryside whilst Mumford and Sons plays in the background. Home from Home feels like an old, tired sitcom that has little to offer apart from the character of Penny and I'm very doubtful that it will come back for a full series. The same can probably be said for Our Ex-Wife which comes from American writer Julie Thacker whose credits include three episodes of The Simpsons.Of the five pilots, Our Ex-Wife is definitely the darkest primarily due to the fact that the two central characters fantasise about killing each other several times during the episode. 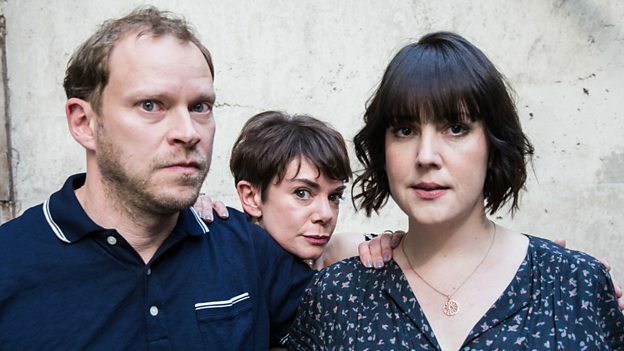 These two characters are Jack and Hillary (Robert Webb and Victoria Hamilton) who are divorced earlier on in the episode before going their separate ways. From there the plot focuses on Jack and his sweet-natured American fiancée Sara (Melanie Lynskey) who wants to form her own relationship with Hilary if only for the sake of the couple's two children. The episode builds up to a set piece in which Sara cooks a questionable meal for Hilary to try and get her on side but it has a negative effect. As the title would suggest, by the end of the episode Hilary marches out and becomes both Jack and Sara's ex-wife. For a season that's all about celebrating the British sitcom it's odd that one of the pilots is from an American writer and co-stars a popular American actress. To be fair to Melanie Lynsky her character is possible the most sympathetic in Our Ex-Wife and there's times where you want her just to take Jack and Hilary's kids out of the house and just run for a better life. There's also a fine supporting performance from British sitcom legend Peter Egan who looks like he's having a ball as Jack's forthright father. The problem I personally had with Our Ex-Wife is that it has a nastiness to it that's too much even in a black comedy. Thacker's writing has an edge to it which just isn't very British and the fact that neither Jack nor Hilary are particularly likeable means that you just don't want to spend that much time in their presence. Although some may like the show's darker edges, in my opinion there just doesn't seem to be much scope for Our Ex-Wife to be rolled out as a whole series. That's the same problem I had with We The Jury, which in my opinion was the most cartoon-like of all five pilots as I couldn't believe that any of the characters would exist in real life. This was especially true of the show's central character, 30-year-old cinema employee William (Ed Easton) who has dreamed all his life of becoming a juror. The absurd plot starts from the moment that William's mother presents him with his jury summons on his birthday, thirty minutes before the trial is set to begin. William himself isn't the only absurd character with the jurors being a gaggle of unbearable posh types, too-cool-for-school artists and an amateur artist who's obsessed with his job at the Bureau de Change. The comedy essentially comes from the fact that the majority of the jury believe that the defendant (Ricky Champ) is already guilty and that the judge (Maggie Steed) is on her last case and has given up on procedure. There's also a silly recurring gag about a courtroom artist and as the episode develops we see William's dream almost go up in smoke when he blurts out the details of the case to a girl he meets at a club (Kerry Howard). By the end of the episode the jury had achieved a small victory by getting the courtroom artist fired but I personally can't see a full series with another five endings similar to this one. I do think that in a sitcom you can get away with a fair bit of dramatic license but not to the extent where none of your characters feel fully-formed. We the Jury is written by stand-up comic James Acaster who seems to have gone for gags over character development and plot which I feel are the keys to making a good long-running sitcom. We the Jury also squanders a talented ensemble cast by having each of them play a cavalcade of comic caricatures with very few of them actually making an impression. The only actors who were able to make something out of their wafer-thin roles were Sophie Thompson as the one juror who was taking her role seriously and Diane Morgan as the juror who really didn't want to be there. In the lead role I found Easton to be particularly irritating and I never truly understood William as a character. Acaster included some backstory about William's longing to be a juror was relating to his father's incarceration which he attributes to a bad jury. However this is only briefly touched upon and therefore I don't think I was given sufficient enough information to care about the characters. 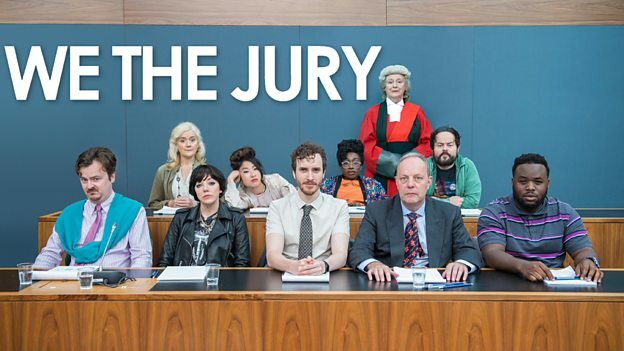 The main issue I had with We The Jury was that I hardly laughed once and I'd be incredibly surprised if this picked up for a full series especially as one member of the cast has hedged their bets and is appearing in two of these sitcom pilots. The cast member in question is Diane Morgan who also crops up in a much meatier role in what is arguably the best pilot of the bunch; Motherland. 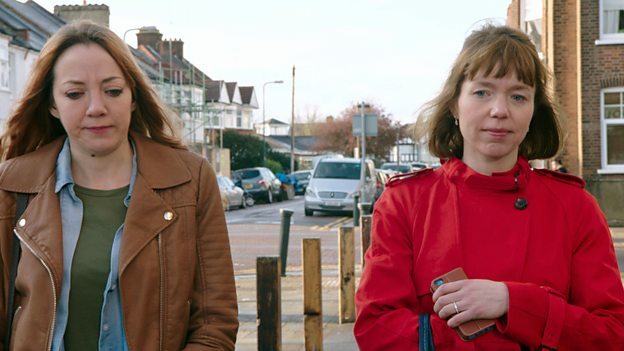 Motherland certainly has the best comic pedigree seeing as two of its four writers are Sharon Horgan and Graham Linehan who between them have created some of the best sitcoms of the last twenty years. Motherland isn't there just yet but certainly had a strong start especially in its opening five in which harassed working mother Julia (Anna Maxwell-Martin) is in rush to get her kids to school only to realise its half term. In fact this opening sequence was so good that the rest of Motherland couldn't live up to it but thankfully there was still enough to like thanks to the wry dialogue of the piece. After discovering that she had no-one to look after her kids, Julia found herself spending the day with other mums in the desperate attempt to get some sort of childcare on the day that she needed to be at work. Motherland explored the hierarchy of the parenting world with Queen Bee Amanda (Lucy Punch) and her friends at the top of the table. Conversely there was Diane Morgan's Liz who was seen an outcast amongst the rest of the pack as she was a single mother and slept with the husband of one of the other mums twenty years ago. Liz's only friend in the parenting world is stay-at-home dad Kevin (Paul Ready) who is desperate to be part of Amanda's club even though they always ignore all of his needy e-mails. By the end of the episode Julia has alienated herself from Amanda's group but has seemingly found herself two allies in Liz and Kevin. The majority of Graham Linehan's sitcoms have all featured three outcasts who are all trying to survive the best way they can and he has done this again in Motherland. I do feel that this episode was a little rough around the edges as there was plenty of plot to get through before we ended up with what I'm assuming will be the sitcom's central trio of Julia, Liz and Kevin. It's also evident to me that Horgan's input came in some of Motherland's more awkward moments specifically the scene in which a hungry Julia starts eating leftover Spaghetti Bolognese at Amanda's house. I do feel that the partnership between Linehan and Horgan is an interesting one and as a result Motherland does have potential. It's also great to see Anna Maxwell Martin appear in a sitcom and I was amazed how gifted a comic actor she was especially in the episode's frantic first five minutes. I also think she and Diane Morgan have an interesting chemistry that could develop nicely if Motherland were to be given a series. Due to the talent in front of and behind the camera I think it's safe to say that Motherland will get a full series on BBC Two at some point in the future providing all involved agree of course. Whilst I did have a few problems with Motherland, of the five sitcom pilots it's the one that stayed with me the most after watching it and I feel that's a testament to both the writing and the fine performances from Maxwell Martin and Morgan. As always with sitcom pilots there were some highlights and some lowlights but I feel the BBC can commission at least two brand new series from this namely The Coopers Vs The Rest and Motherland. I also think it's a great idea to debut these pilots alongside the more publicised revivals of Porridge and Are You Being Served? Whilst people might be tuning specifically to see what the updated versions of their favourite sitcoms look like they may be tempted to also tune in to some of these new shows. 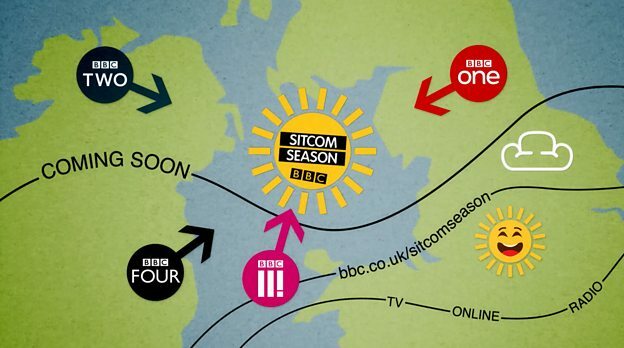 I'm hoping this is the case as British comedy needs to be celebrated more and I think in taking a risk on airing five new pilots in prime time positions the BBC is on its way to doing just that. It must be pointed out that Melanie Lynskey isn't American-she's a Kiwi! Your article opened for me a few new nuances that I did not know before and never met such data.